Welcome Ecuador Freedom Bike Rental & Tours! Please join us in welcoming our newest supporting vendor Ecuador Freedom Bike Rental & Tours! We are glad to support the forum and to have a connection with like-minded adventure motorcyclists. Our fleet, located in Quito, Ecuador has many adventure-ready bikes for rent or to use on our guided and self-guided tours. 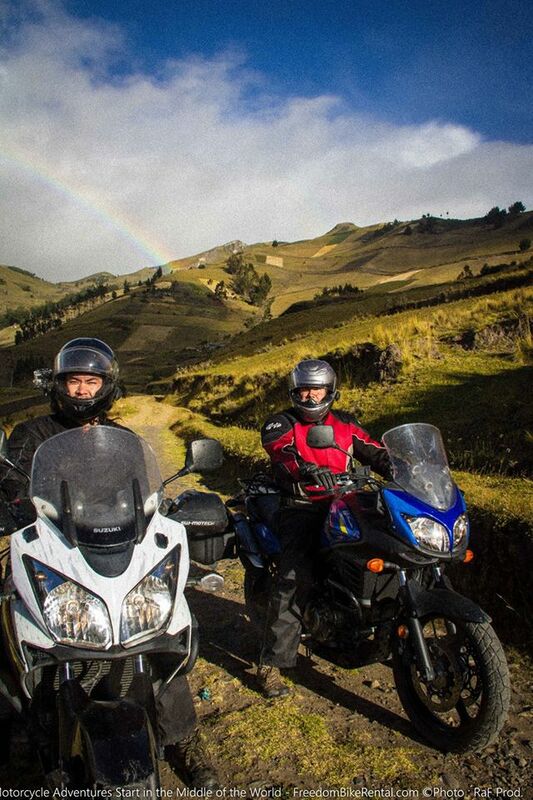 Ecuador is a biker's paradise. It is the place chosen by top manufacturers to put their bikes to the test. It has a huge range of terrains, climates and cultures - all packed into a country the size of the state of Oregon. Gas is $1.48 a US gallon, beer is $1 a bottle (big bottle) and we have the Andes Mountains, Pacific Coast beaches and the Amazon jungle - all ready to be explored on two wheels. Last edited by EcuadorFreedom; 10-11-2014 at 02:40 PM. Reason: is the video showing correctly? No video that I can see. Please consider a link to your website. Sounds like a really nice place to consider an exotic trip! Thanks! Here is a link while I work out how to properly post video on here! Welcome aboard, I have participated on many International Motorcycle Tours and Ecuador has been on the list for some time now. Last edited by SV Racing Parts; 10-10-2014 at 06:23 PM. It would be great if you could help me figure out how to post a video to the forum! Let me know whenever I can help you out, I hope to see you and join you on the road in Ecuador soon. I got the hang of the video posting! I guess I have to use Youtube.